Let's Be Internetan | Relax, Enjoy di Warung Browsing Internet. Cineam - Asus plans to present other Zenfone smartphones in the near future, but this time the Taiwanese handset maker will not focus on hardware. This latest Zenfone Max has not been officially introduced, but the device is already listed on the company's website. The main selling point of the ZenFone Max lies in the battery capacity which is quite large, with a capacity of 5,000 mAh. ZenFone Max can be used as a power bank to fill other devices while on the go. With this 5000mAh battery capacity, the ZenFone Max even turns into a power bank that allows users to transfer enough energy to fill other devices. Only by connecting the two devices with a USB cable on-the-go (OTG), ZenFone Max can transfer its energy. According to Asus, the Zenfone Max battery will provide durability, approximately 37.6 hours of talk time or up to 38 days of standby time. Also, for customers who will plan to purchase Zenfone Max, which will be used for browsing the internet or watching movies, it will be nice to know that Asus will provide battery life for the handset up to 32.5 hours when web browsing via Wi-Fi, and 22.6 hours video playback. Reporting from Softpedia, ZenFone Max is equipped with Qualcomm Snapdragon 410, quad-core processor, 2-GB RAM, 16-GB memory that can be added (up to 128-GB) with a microSD card slot. Also, the Zenfone Max is packed using a 13-megapixel camera facing the back with laser autofocus, LED flash and video recording, while in front there is a 5-megapixel secondary camera for selfies and video calls. No one mentioned dual-SIM support, but Asus stated that the phone will be equipped with support for 4G LTE Category 4 for download speeds of up to 150Mbps. Asus Zenfone Max showcases a 5.5-inch capacitive touch screen that supports HD (720p) resolution and features a Corning Gorilla Glass 4 glass layer. 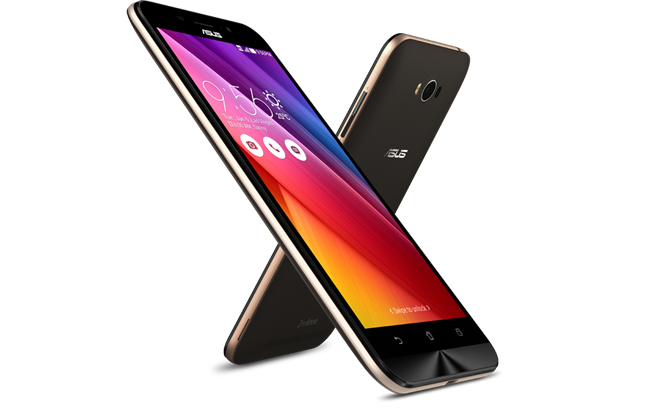 Software that will be used by Zenfone Max is the Android 5.1 Lollipop operating system and Asus ZenUI above, but at the moment there is no information about the availability of updates using Marshmallow.